I started BNB TECHNOLOGY in 1996. I've always loved Technology, so IT seemed to be the perfect fit. Technology is always adapting and changing, so it takes someone that enjoys the constant chaos of the evolution of technology; plus I love to help people and provide solutions. As a Solutions Provider, I realize that our clients have many choices and that we are trusted to provide our clients with the most cost-effective solutions, provided in the timeliest manner. With that said, BNB Tech has grown over the years with many, many clients that have been with us practically since day one. As a business owner, my promise to you is that I will NEVER take your business for granted or get complacent that what we do is "good enough". Our business is constantly growing, wholly due to the family of loyal clients that believe in and employ us. As our "old" motto used to say, "No Excuses" still rings true today, some 18 years later..."
is an Oklahoma based Corporation specialized in providing computer consulting services to small and medium sized businesses and home users. We provide our clients with the expertise and experience that is usually only available to large corporations. Our commitment to quality and to our clients sets us apart from our competition. BNB Tech, also known as Bits N' Bytes Computers Inc. ,was founded in 1996 and made it's humble beginnings in a bedroom! Our company was created due to the lack of any decent hardware and/or service (customer service) providers. Since then we have fought hard to not lose the idea and reason that we started this business: customers are important! We recently made a huge investment in our ability to handle large service requests. With the opening our our newest facility, which gives us over 4200/ft. of new service space, we continue to grow and expand into new markets, while retaining the level of service and customer dedication that started this business! Our technicians are committed to providing professional, personalized information technology services. 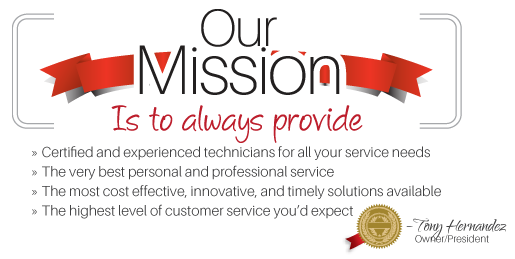 Our technicians are trained and certified by the best in the business. They have years of experience and knowledge of general business operations to provide consulting advice and services that you can really use. We know that all guarantees are not the same; lots of fine print and promises that just aren't backed up. Our commitment to our customers means that if, for any reason, a customer is unhappy with a purchase or service work that we did (billable or warranty), we will take care of it. Period. We will do EVERYTHING physically possible to not only address the problem, but to go beyond that to make sure that you (our valued customer) are happy with your product and/or service. Whether it means staying late to fix a customer's problem (so that they can have it for the next day's business), or the attention to detail that we give every job - We go the extra mile.